I was thinking about the word honour this week. Sometimes we honour people to acknowledge a special occasion for them, when a milestone is reached or when they have passed. Do you remember the last time you felt honoured? What was that like for you? Who have you honoured lately? So here’s something to think about …Who in your world would benefit from being honoured? What might that do for them? How do you think that would make them feel? Do you have to wait for a special occasion to make them feel honoured? And for sure, we don’t want to wait until it’s too late to honour them. What could you do this week to show appreciation, gratitude, respect or love to that special person? How could you honour them in a way, big or small. Whether it’s a parent, child, colleague, family member, friend or someone is who making a difference in your life or community – take this opportunity to let them know that who they are matters to you. 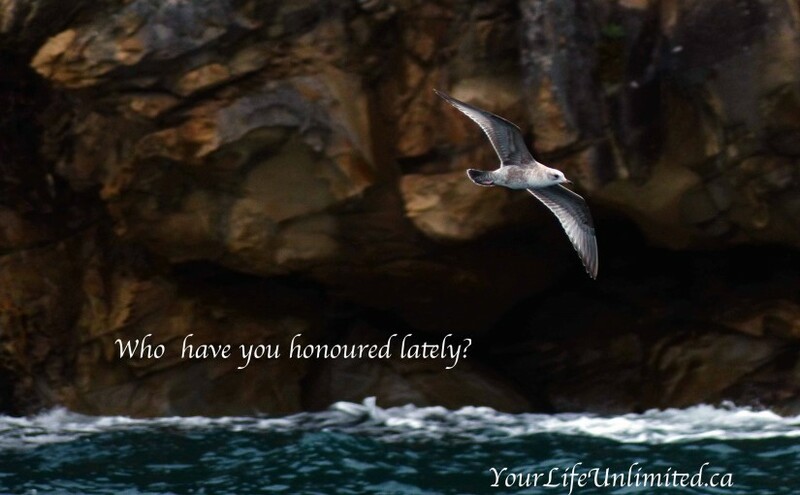 Honouring someone this week… it’s just one more way to live Your Life, Unlimited! Enjoy this week’s radio podcast with my guests Linda Babulic author of ZEST Your Life and Stefan Arnio author of Self Made – Confessions of a Twenty-Something Millionaire. This entry was posted in Blog, Motivation, Personal Growth and tagged cjob, empowerment, great ideas, Inspiration, personal growth, podcast, Stephanie Staples, Your Life Unlimited. Bookmark the permalink.